Lacquered furniture is both beautiful and easy to care for. Because of the high gloss finish, a few precautions should be observed when cleaning its shiny surface. 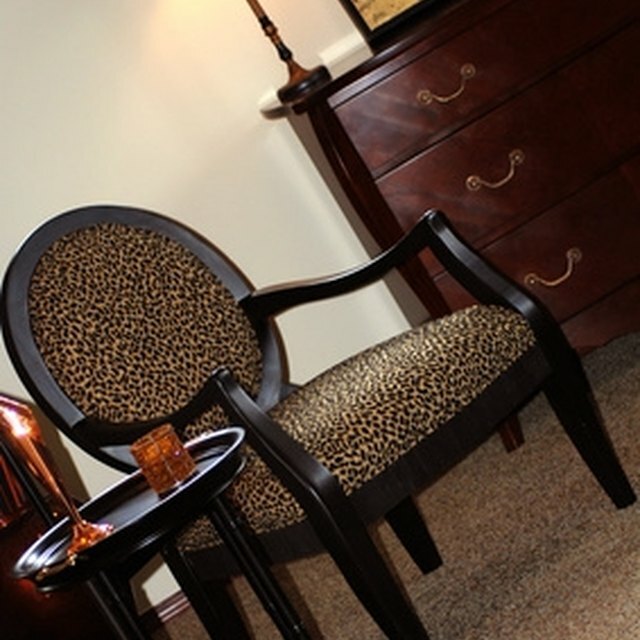 With the proper care, black lacquer furniture can last many generations. Wet a soft cloth with water only. Never use chemical cleaners on high-gloss surfaces. Wring out the cloth until it is just damp. Do not leave water on the finish, because it will leave tiny spots. Wipe the shiny surface using straight strokes; never wipe in a circular direction. After wiping each area, use a dry cloth to buff the clean surface. Remove spots or sticky spills by cleaning with a solution of 1/2 gallon of water mixed with 1 tsp. of mild dish soap. After removing the spot, rinse with a clean, damp cloth that does not have soap on it, then dry immediately with a dry cloth. Always test cleaning methods on an area that is not easily visible. Make sure there is nothing gritty on the surface before wiping it clean. Gabrielle Krake's writing career began in 1996. She is published in the "Chicago Sun Times," "IdahoStatesman," online magazines Got to Be Green, Chic Galleria, Blissfully Domestic and Divine Caroline. She attended four and a half years at Northern Arizona University, the University Of Alaska, Western Washington University and Boise State with an emphasis in sculpture and education.